At Columbia River Endodontics, we are committed to remain at the forefront of our profession. Among other advanced techniques and instruments utilized by our office, operating microscopes with fibre optic illumination have opened up entirely a new vista for the treatment of both non-surgical and surgical endodontics. Due to the enhanced illumination and high magnification optics, calcified canals can be optimally located. In addition, retreatment of endodontic cases that have failed due to separated instruments, and repair of perforations can now be managed with greater efficiency and success. These cases, in the past, could be managed only by surgical approaches. 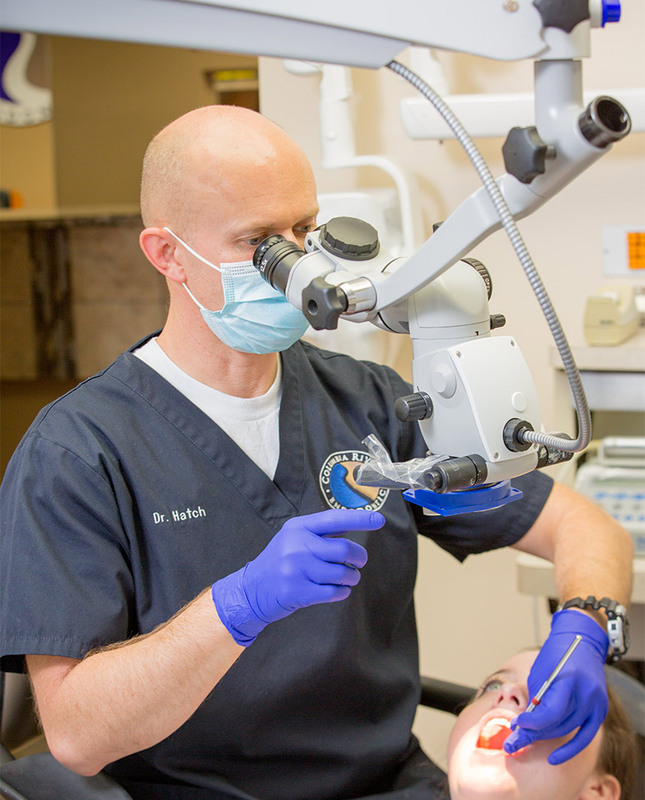 In those cases in which surgical endodontics is the treatment of choice, the increased magnification and illumination provided allows for enhanced visualization of the surgical field. This, in turn, allows for more efficient surgical technique and greater ability to achieve success in surgical endodontics.